This was a quick, easy and delicious lunch. 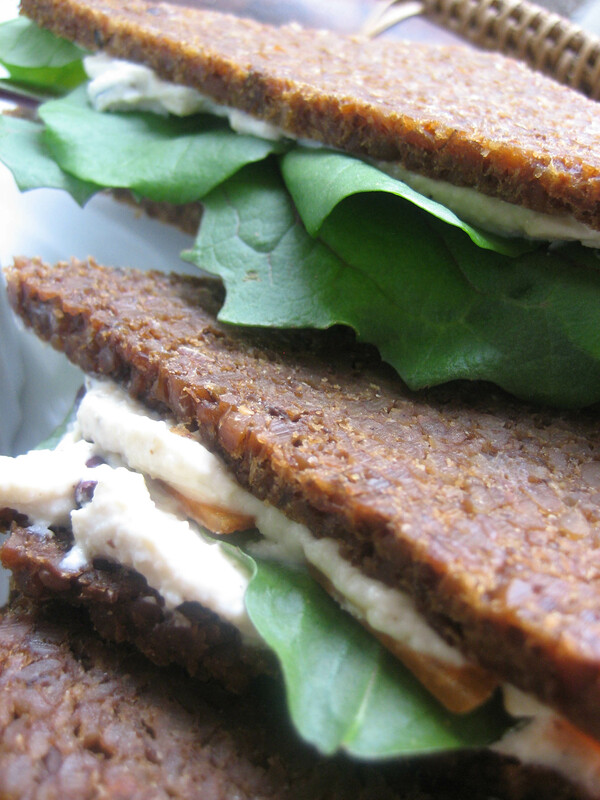 I schmeared it onto some dark pumpernickel and stacked on some carrot slices with dandelion greens and watercress. Marvelous! Simply blend together in a food processor until a smooth consistency is achieved. Again, this looks like SOMETHING I MUST TRY!!!!!!!!! I love anything with cashews! It’s so easy and really really nice on that thin, dark and dense pumpernickel. You’ll dig it, I promise.